The In-Cosmetic Asia was held at BITEC in Bangkok, Thailand from November 4-6th, 2014. 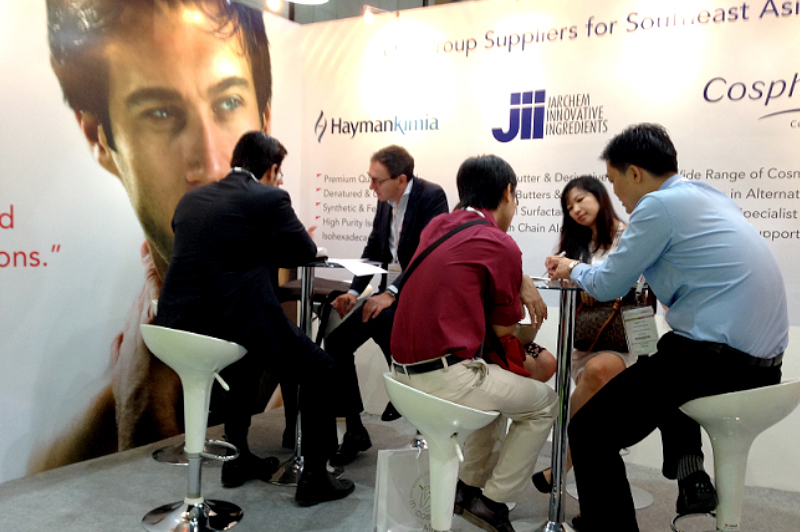 Behn Meyer had a large booth and enjoyed great support from group suppliers; Cosphatec, Hayman and Jarchem. The visitors came from both local and international markets, with new and existing customers discussing and finding the right solution of cosmetic raw material for their new project developments. The event attracted a total of 6,595 visitors from local and international markets with over 400 suppliers from 28 countries participating in the search for new knowledge and opportunities to develop business with sustainable growth. 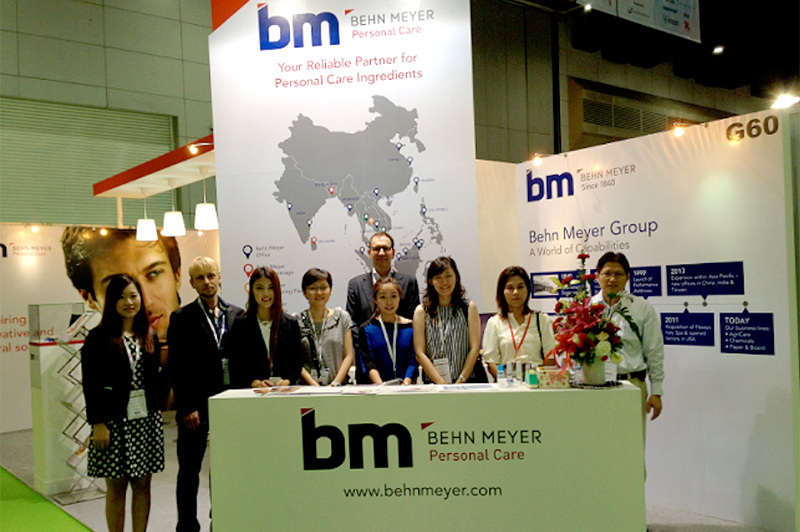 The Behn Meyer Booth at In-Cosmetics Asia on November 4-6th, 2014, was shared with 3 regional suppliers - Cosphatec, Hayman and Jarchem.